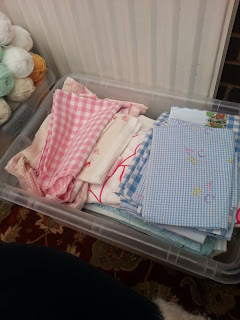 Hasn't it been so nice to see the sun this weekend - still cold though, but at least it's been nice enough to dry the washing outside. I went back to work this week and if I'm honest it was nice to be back - the lads are a good bunch on the whole, who you can have a laugh and a joke with and who you know will get the job done- there's just a couple who can be 'challenging' but then it wouldn't do if we were all the same. So back into the swing - it did seem strange though cause when I was first taken poorly, I was doing the commute in the dark but now it's light and it's so nice to not have to go backwards and forwards in the dark, so even if it is still cold at least we don't have the dark mornings and early evenings. Plus it looks like we're going to be having some volunteers coming into the service - to help them get back into 'work' and the encouragement for me is that I can do a recognised qualification in 'mentoring'- something that I really would like to do - the majority of the volunteers were young woman who have been stay at home mums and who want to get out and earn their own money, never having had a job before in the past - so if they're up for having a go - then I'm up for helping them too. Sorry but I'm no photographer! 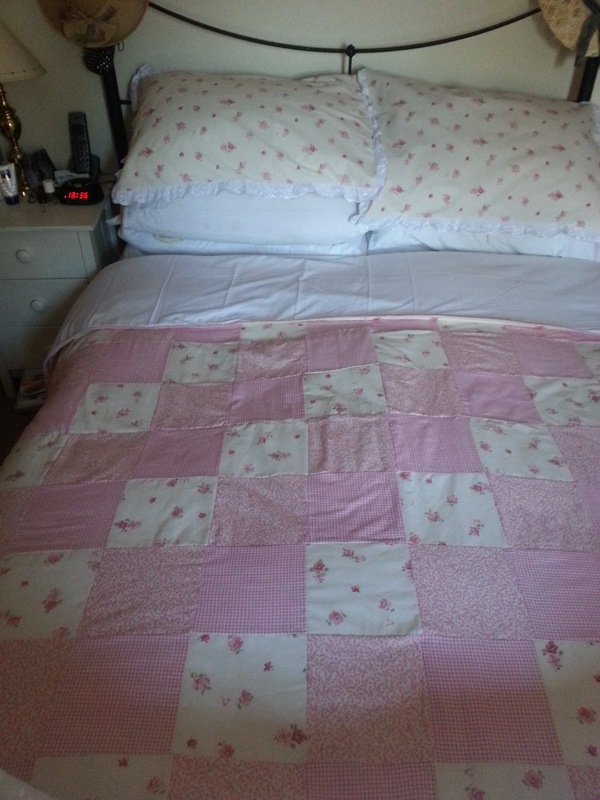 I'm no patchwork quilt maker neither! 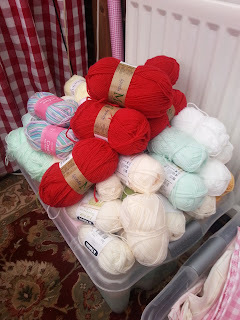 Then I set to and put all the crocheting UFO's along with the different hooks into one bag and the 2 knitting UFO's in another bag......so all tidy and sorted but I do think I need to use up some of the wool and fabric I have before purchasing any more. Just on a topical note for the moment - old backstabbing big conk Milliband has been going on about how unfair the 'bedroom' tax is on benefit claimants,well on the other side of the coin, someone I know, turns into work everyday without fail, with a smile on his face...... his job?........... he drives a lorry and removes fly tipping, he mauls wet dirty filthy mattresses and heavy dirty 3 piece suites on to his lorry and then takes them to the tip - then he'll go and clean a bin room out, moving bags of maggot infested rubbish that rats have run over, again putting them into his lorry before going to the tip - a really dirty job - but when that lad gets home, he has to see his teenage daughters, sharing a small bedroom - how can it be 'fair' for someone like him, to work as hard as he does and then not have enough bedrooms for his family and a benefit claimant (regardless of why they claim benefit) have a spare bedroom and not have to pay for that luxury. Then again, on another side of the coin (this coins got lots of sides hasn't it?) why should any British benefit claimant have to give up their homes because they can't afford a spare bedroom for an immigrant family, who have never paid into the system, to have that home. Old 'lets jump on the band wagon' Clegg came up with his first and only good idea last week - lets charge immigrants to come into this country. At last! yes lets charge the idle buggers to come here - I think it should be around the £500,000 mark plus get them to sign an agreement that they won't claim for benefits, housing, or the NHS for a minimum of 20 years. That would stop the flow here overnight! Just goes to prove that politicians can have good ideas sometimes - pity that it's only once every 20 years. 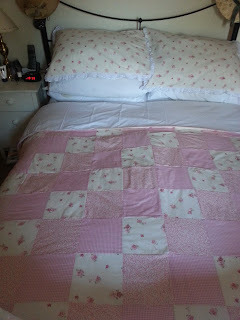 Gorgeous quilt, I admire people who can quilt, my mum did it for years but my attempts are a bit feeble. You certainly have enough fabric and wool to keep you going for a while. 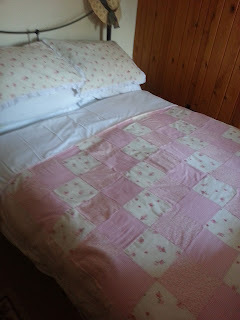 Ha ha, had to laugh at your hubby's comment about the quilt, it will keep you nice and warm though. I'm always envious of people who can use a needle and thread, I'm rubbish at sewing. 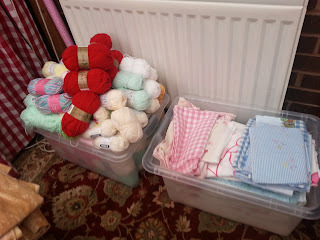 I had a sort out of my wool stash at the weekend too, I ended up having to buy a new storage box to accomodate it all, I think I need to start using some of it. It's one thing for politicians to have good ideas but getting them put in force is quite another. It seems that all the daft ideas they come up with manage to make it through though. We're going to Conwall this year too, I can't wait. We're staying near Bude, what about you? 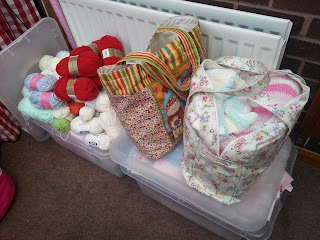 Nothing but Cushions and Cupcakes!